Although she was a British citizen, Emily Hobhouse has become an honorary South African through her selfless and courageous actions, which exposed the inhumanity of concentration camps during the Anglo-Boer war (1899-1902). She was raised in the tiny village of St. Ive near Liskeard in East Cornwall. Her father was rector of the Anglican church for fifty-one years. In 1876 Emily was sent to a finishing school in London but as there was no money she did not complete her schooling. She was, however, able to get some music and painting lessons in Liskeard. By the time Emily was twenty her mother died. For fourteen years Emily took care of her father who was often unwell. She occasionally visited her uncle, Arthur, Lord Hobhouse who had a seat in the House of Lords. Her father died in January 1895 after a painful illness. She started to work in the Women’s Industrial Committee, becoming very familiar with methods of investigating needs on a large scale. When the war between Britain and South Africa broke out in October 1899, she was invited to join the South African Conciliation Committee. Her work as secretary was to organize meetings such as the women’s protest meeting in London on 13 June 1900. “It was late in the summer of 1900”, Emily later wrote, “that I first learnt of the hundreds of Boer women that became impoverished and were left ragged by our military operations… the poor women who were being driven from pillar to post, needed protection and organized assistance.” The result of this was that she obtained permission from the government to start a non-political, non-sectarian South African Women and Children’s Distress fund “on the broad basis of pure and simple benevolence towards those deprived of hearth and home by the war” be they Boer or British. A national committee was formed, money was appealed for and subscriptions sought from all over the country. Only then did she announce to her family that she intended to go to South Africa and supervise the distribution of the fund. She landed at Cape Town on 27 December 1900. When she left England, she only knew about the camp at Port Elizabeth, but on arrival in Cape Town she soon learnt of large camps in Johannesburg, Bloemfontein, Potchefstroom, Norvalspont, Kroonstad, Irene and other places. South Africa was a country totally unknown to her; she could not speak a word of Afrikaans. Conscious of the fact, however, that suffering and affliction can understand the language of love, she immediately applied for permission to visit the concentration camps with the object of making personal contact with the women in the camps. However, all this was subject to the approval of Lord Kitchener. His answer, when it finally arrived after two weeks, was disappointing. He granted her permission to proceed as far as Bloemfontein, but definitely no farther. She was bitterly disappointed as she was extremely anxious to visit the camps in Transvaal. When she requested soap for the people, she was told, “soap is an article of luxury”. She nevertheless succeeded, after a struggle, to have it listed as a necessity, together with straw, more tents and more kettles in which to boil the drinking water. She also applied for the appointment of a matron and additional nurses and medical equipment for the camp. She distributed clothes and supplied pregnant women, who had to sleep on the ground, with mattresses. “In many instances I was an eyewitness of what took place. I saw families huddled up close to the railway line near Warrenton and Fourteen Streams. I saw an overcrowded train crawling along to Kimberley throughout a whole long night. I saw people, old and young, bundled in open trucks under a scorching sun near a station building without anything to eat. At midnight they were transported to empty tents where they groped about in the dark, looking for their little bundles. They went to sleep without any provision having been made for them and without anything to eat or to drink. I saw crowds of them along railway lines in bitterly cold weather, in pouring rain – hungry, sick, dying and dead. The appalling increase in illness and death and the fact that the military authorities did not listen to her pleas, led to a decision to return to England. She hoped that once there she would be able to persuade the Government as well as the public to make an end to the conditions of misery and distress that she had witnessed. She felt convinced that if the unvarnished truth had to become known in England, such a wave of indignation would sweep the whole country that it would soon have the desired effect in South Africa. She once more made an attempt to visit the camp in Kroonstad before her departure. Kitchener however, remained adamant, and she failed to obtain the necessary permission from the High Commissioner. She was also informed by the administrator of the Orange River Colony, Major Hamilton Goold-Adams, that complaints had been lodged that she showed “too much personal sympathy” when she distributed gifts. It had become clear to her that adequate assistance could only be derived from England, that it had to be done on a large scale and that it had to come immediately and at any price. She therefore submitted a request to the Minister of War shortly after her arrival in England. The revelations were made known to the public fourteen days later, and directed the attention of the public to the concentration camps. The debate on the report in the Houses of Parliament, was extremely disappointing. Despite fierce opposition from newspapers supporting the Government’s stance, Emily continued pleading the cause of the women and children in far-off South Africa. Day after day, she addressed meetings, pleading their cause. Many meetings were disrupted by her adversaries but in many respects, her objects were attained. More funds were made available by friends and eventually the Government was compelled to appoint a ladies’ committee that would visit the camps in South Africa. Emily Hobhouse was not included in the committee. The Committee published its findings in February, 1902, and although Emily thought it “fairly superficial”, since the Committee seldom spent more than two days at the most, in a camp, it nevertheless repeated facts revealed in her report and effected important improvements. In October 1901 she decided to resume her work in South Africa. She failed, however, to obtain permission to visit the camps and therefore decided to try and make contact with the large number of destitute women and children who had in some way or other landed in the coastal towns of the Cape Province. Endowed with means put at her disposal by the various funds in England, she steamed into Table Bay on Sunday, 27 October 1901. To her greatest amazement and consternation, she was not allowed to land. For five days she was held a prisoner under strict surveillance in the harbour of Cape Town before she was deported. Her health was already failing when she left England. The disappointment caused by her reception in Cape Town came as a great shock to her and completely drained her strength. No definite charge could be laid against her and she failed to ascertain the reason why she, an English subject, was not allowed to land in an English Colony. 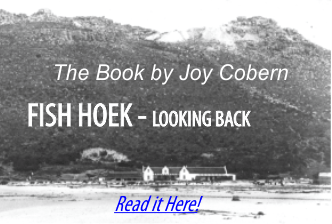 She retired to the mountains of Savoy in the south of France to recuperate and and it was there that she heard news that the Peace of Vereeniging had been signed and that the Boers had lost their independence. For two months after the news of the peace treaty had been received, Emily Hobhouse could not find any consolation. 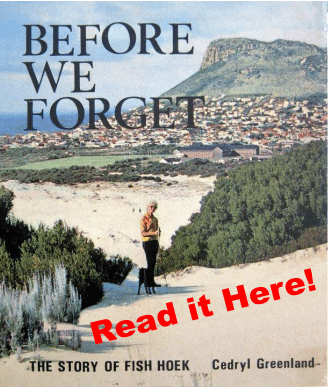 It was only after she had met the Boer generals and had learnt from them that the distress of the women and children in the concentration camps had contributed to their final resolution that her grief was displaced by admiration. She saw it as her mission to assist in healing the wounds inflicted by the war and to support every effort aimed at rehabilitation and reconciliation. She took up her plan, studying lace-making, spinning and weaving in Europe and Ireland. Emily and two helpers then went to South Africa in 1905, equipped with the required apparatus to teach the women the art of spinning and weaving. The first spinning and weaving school was set up at Philippolis in the Free and eventually 27 schools were established all over the country. By giving instruction personally for more than three years, she carried out the task she had set herself. However, the climate proved detrimental to her health and in 1908 she was forced to return to England. The unveiling of the Women’s Monument at Bloemfontein took place on 16 December 1913. President Steyn approached Emily Hobhouse with the request to unveil the monument. Although she was in a very poor state of health, she did not hesitate and proceeded to South Africa. She was unfortunately too weak to complete her journey to Bloemfontein, but had to break it at Beaufort-West and turn back. It was from Beaufort-West that she sent her message to be read to the large assembly where Mrs. Steyn acted as her deputy. The First World War also cast a dark shadow over her life. Wherever she could, she raised her voice in protest against the War. When, at the conclusion of the war, she again heard – this time from central Europe – the cry of distress coming from starving women and children, she once again and, notwithstanding bad health, devoted herself to bringing relief to the destitute. Through her actions, tens of thousands of women and children were fed daily for more than a year. Mindful of her own past, South Africa also contributed liberally towards this effort. An amount of more than seventeen thousand pounds, collected by Mrs. President Steyn, was sent to Emily for this purpose. The love and esteem bestowed on her by the South African nation remained a sweet drop in her cup of bitterness up to the end of her life. Without her knowledge and on the initiative of Mrs. Steyn, a sum of £2,300 was collected for her by means of half-a-crown collection lists in 1921. This money was sent to her with the explicit mandate that she had to buy a small house for herself somewhere along the coast of Cornwall, where she longed to be. Her financial position was such that she had to forego essential amenities. With the means at her disposal she could not consider purchasing a house. 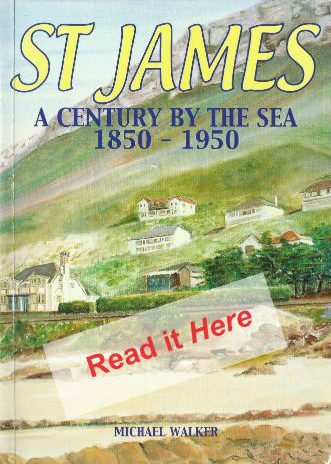 She purchased a house at St. Ives in Cornwall, from where she wrote many a letter in which she expressed her gratitude and appreciation. Tibbie Steyn always arranged to send to Emily, on her birthday, a consignment of Orange Free State canned fruit, preserves, biltong (dried meat) and other delicacies. This gift was a great source of pleasure to her and she was very proud of it. She seldom received a guest who was not persuaded to taste some of the South African products. Her bodily strength was gradually ebbing. She had realised months before that her end could not be far off and often yearned for it passionately. Although her last letters continued to bear proof of her interest in mankind and in human affairs, they nevertheless bore unmistakable evidence that she was preparing for her departure to the next world. On 23rd May, 1926, she wrote from the Isle of Wight, that her soul was full of the music of the song she learnt in her youth in Cornwall. Before that letter reached South Africa, she died of pleurisy, cardiac degeneration and some internal form of cancer. There was a burial service in London, but her ashes found a final resting place in a niche at the Women’s Memorial at Bloemfontein on 26 October 1926.